Examples from my own courses in Philosophy and Arts One at UBC include exams and academic essays focused on philosophical and fictional works we study in class. Unless they have a clear reason to do so, most students aren’t going to keep the academic essays they’ve written; and for final exams at UBC, the vast majority of my students never see them again after writing them (and it’s me who disposes of them). Now, of course, it’s not that such assignments have no value at all; they can often serve very well to encourage students to learn and apply information, practice skills, engage in problem solving, and more. And if done well, they can show instructors the level of mastery students have reached. These are important functions! What Wiley is pointing to, and what I also find important to consider, is the fact that “disposable assignments” don’t provide any further value to the world after they’re completed. But there are ways to engage students in assessment activities that do so, and the ease with which we can now ask students to work in open, online environments expands the opportunity for what Wiley calls “renewable” rather than “disposable” assignments. Some may already be familiar with the idea of authentic assessments, which are somewhat related to renewable assignments. According to Svinicki (2004), authentic assessments are assessment activities that (among other things) are similar to what students might do with the skills they are learning in the “real world.” Students are asked to do the kinds of things that the course of study is preparing them to do, “in situations as similar to the contexts in which the related skills are performed as possible” (p. 24). See also Chapter 8 of Modern Classroom Assessment for an overview of authentic assessment. Students in a Business course work in teams to create a presentation that is similar to a presentation they might need to give in a business setting. Students in a Critical Reasoning course write letters to political representatives, or letters to the editors of newspapers, or posts for news or political blogs, giving clear and sound arguments about a particular ethical or political issue. Students in a Psychology course carefully plan a research project, from doing a literature review to laying out the procedures for how the project would be conducted (with or without then actually collecting and analyzing the data). Students in a Nutrition course produce a poster or an infographic designed to clearly and quickly convey some information they have researched about diet and nutrition. The idea of assignments being “authentic” to real-world contexts is similar to the idea of renewable assignments, but it’s not quite the same. Authentic assessments can still be such that they don’t add any further value to the world after they are completed and marked; they may still be simply disposed of by students because they serve no further purpose. What makes an assignment a “non-disposable” one according to Wiley is that it adds value to the world (within or beyond the class) after it is completed. In other words, what the students produce through their coursework is useful and usable by others beyond the instructor. Wiley is most interested in student work that is not only made available for others to see/hear/read but that is also openly licensed so that they can revise and reuse it. Assignments that produce such work he calls “renewable assignments.” In order to be “renewable,” student work needs to have an open license: a license that explicitly states that others may revise and reuse the material without asking for permission from the copyright holder. Creative Commons licenses are often used for scholarly and creative works, and the different licenses provide a number of different permissions. For example, the “non-commercial” license allows others to revise and reuse one’s work as long as it is not for a commercial purpose. The UBC Copyright website has an excellent overview of Creative Commons licenses. According to Wiley, “Students tell me that they invest significantly more time and effort in these assignments and enjoy doing them more.” It makes sense that if students are doing work for a wider audience than just their instructor, and if they feel that this work is valuable to others, they may be more invested in it than in disposable assignments. Knowing that one is contributing to something that can be used by others, and revised as needed to fit their context, as well as built upon and improved, can also help to increase student investment. Here at UBC, we can also connect renewable assignments to the University’s strategic plan. Community Engagement is one of the three main pillars of that plan, and under that pillar the plan states that “UBC exists for the communities it serves: local, provincial, national, and global.” Asking students to create work that is both shared with and revisable by a larger community than just those on this campus can be part of the university’s efforts to serve the public. In terms of improving student learning, if authentic assessments are valuable in that regard, what could be more authentic than actually doing work that one might otherwise be asking students to simulate? I do feel strongly, however, that students must be given a choice as to whether or not they want their work to be public, and if so, whether they wish to give their work an open license. The copyright for their work belongs to them, after all. Wiley sometimes sounds as if he thinks we should eliminate all disposable assignments; I don’t see the need to go that far. I think disposable assignments are useful for many purposes. But I do think adding in some non-disposable assignments where they might fit our course content and contexts is something we faculty should seriously consider doing. Christina Hendricks is a Sr. Instructor in Philosophy and Arts One at UBC, and is also currently serving as the Chair of the Arts One program. 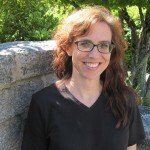 In 2014-2015, she was a Faculty Fellow with the BCcampus Open Textbook program (http://open.bccampus.ca), and in 2015-2016 she is an Open Educational Resources (OER) Research Fellow with the Open Education Group (http://openedgroup.org/). She has started reflecting on how she can incorporate non-disposable assignments in her philosophy courses but still has a ways to go. found out the important suggestions shared on your own site. Looking at your blog publication is a real amazing experience.